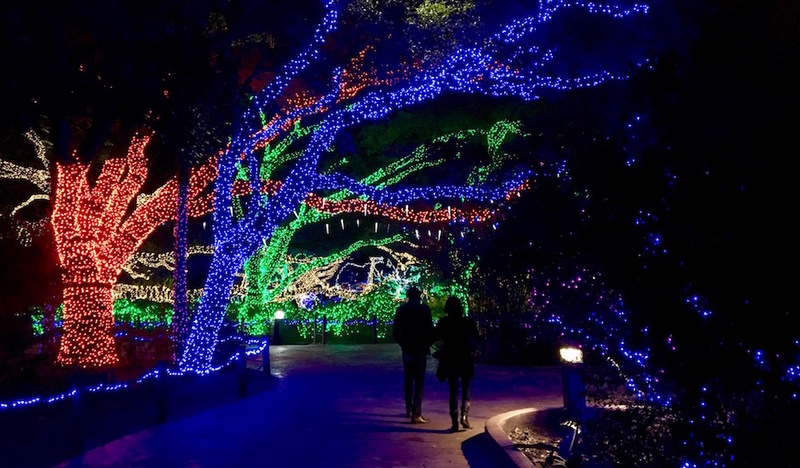 The Houston Zoo’s months long holiday explosion of lights features two million bulbs to light your way through the park. Guests can sip on hot chocolate as they stroll around the zoo taking in the light displays and getting into the holiday spirit. The event offers a s’mores station, bites, drinks, hot chocolate, and more. While most animals will be asleep during the hours of Zoo Lights, guests can usually spy some active giraffes. Zoo Lights runs from mid-November to mid-January most years. Hours vary by day. Click here for updated information. Parking is available in surface lots along Hermann Park Drive. Additional parking is available at 7100 William C. Harvin for $10 with a free shuttle to the zoo. Click here for details about parking and shuttles.